Microsoft Lync: The name of the game nowadays in consolidating all facets of communication into one convenient platform. Microsoft Lync does a wonderful job of this, combining IM, presence, conferencing, and connection to Skype. Integrating with Microsoft Office 365, widens the playing field even further, really putting an exclamation point on worker productivity, along with management of documents and the like. Face-to-face conversation in HD audio and video can be initiated and concluded with a click. There’s a built in softphone, call forwarding, sharing (applications, even your desktop). Microsoft recently introduced a Web app for Lync 2013, allowing users to join a Lync meeting from a Windows or Mac OS X through their browser – this version also boasts the same features, including HD video, VoIP, IM, and sharing. Of course, there’s the popular communications tool in Skype, which is federated right into the platform to host free video conversation, presence, IM, and voice. Lync really has it all, making it one of the top tools for your workstation. CUCM: Cisco Unified Communications Manager (CUCM) delivers when it comes to innovation and productivity. The system is also software based, and keeps active logs of VoIP network components in real-time. The newest build is CUCM 9.0, which includes a ton of new features from the last that optimize allocation of bandwidth, and even defer to other methods of communication if it’s not available. For instance, your cell phone is dead and your VoIP network is running at dreadfully low speed – CUCM has an implementation called “extend and connect” which ring a third line if these forms of communications are down. The new version also includes IM and presence, including visual voicemail, conferencing, IM, and other useful options. 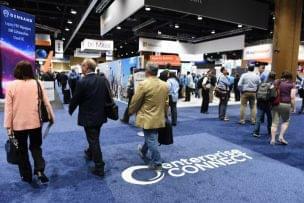 More additions have been made over the years so that Cisco’s UC manager closely resembles the more dedicated of first-party offerings from VoIP providers themselves (see Fonality HUD). CME: Cisco Unified Communications Manager Express (CME) provides voice and video call services for your office – providing data networking, security, video services, and gateway services. CME is geared more towards existing phone systems, integrating with IP-PBXs, with options for key systems and hybrid modes. It’s a much lighter build of CUCM, made to enrich your VoIP infrastructure. There is also DID, Intercom Paging, BACD, Queuing, and more options for mobility. There’s the option to live-record, whisper, and barge – options that many enterprises have grown to desire for their business. Naturally, CME wouldn’t be in the top 3 without video capabilities – which are also there for HD video collaboration. Some might find the piece meal approach to be a bit archaic, though I am obligated to tell you that Communications Manager Express integrates with Cisco Unity Express, opening things up for auto-attendant/IVR. Adding Cisco Unified CallConnector Suite (Windows Only), adds to allow integration with CRM, and thus providing Click2Dial, Presence, and Attendant Console. Note: CME runs on a router and is built for very small companies, while CUCM is built for larger enterprises and typically requires a server. 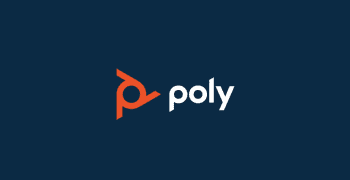 Polycom RealPresence: Polycom continue to add end-to-end upgrades to their entire portfolio, focusing on interoperability, scalability, and collaboration. The company had videoconferencing down pat, and have since looked to add to this mastery in the UC space – the results have been astounding. 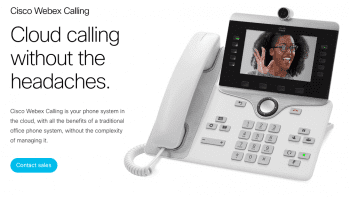 There are a ton of features that fall under the Polycom Realpresence name, each with their own great features and optimizations built to adapt to the environment they exist in. A few include low bandwidth utilization, native 720p and 1080p HD video encoding, and other implementations built around creating the best audio/visual experience. Polycom does integrate with the two aforementioned products (in Microsoft and CUCM), however, their innovations are too large to not include in this list. Their hardware and software creations are great tools in their own right, even considering the VVX series of IP phones which roll voice and video calling into one device. Polycom were the first to introduce HD Voice (in 2006 for their SoundPoint line) and have set the standard for years to come. Most recently, they are working on CloudAXIS – a platform in the works that unites dispirate islands of communication into one connected continent. On the way, are implementations for the Mac in Polycom RealPresence Desktop 2.0 software, and brand new is SmartPairing,Polycom and UC Whiteboard. Telepresence and video via Polycom initiates everything a click and a tap, making it possible to orchestrate meetings, conferences, or face-to-face calls in an instant from your desk.